With more than 150 years of rod building experience, it’s no wonder anglers look to Orvis for the highest quality fly rods in the industry. 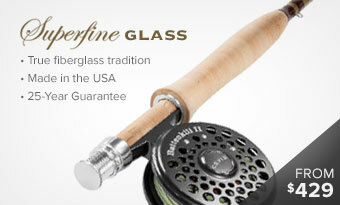 Our line of fly rods is the best on the market, the culmination of cutting-edge technology, precision, and expertise. Explore our collection of fly rods and find exactly what you're looking for to equip your next fly-fishing adventure. Discover a fly rod for every excursion—saltwater, freshwater, spey casting, small creeks, and warm water applications. Any rod can haphazardly toss a fly through the air: it’s the precision that counts. Accuracy is the hallmark of the Helios 3. The H3 was built to reduce the variables and harness the energy behind each cast—translating to impressive accuracy. No window is too small for this precise rod thanks to the increased hoop strength that reduces vibration for a truly accurate cast. Drop flies right where you want them—every time—with the enhanced power and pinpoint accuracy of the Helios 3 fly rods. Cast the Helios 3D if you’re looking for distance; it blends unmatched power with incredible accuracy. If finesse is your game, the Helios 3F will consistently present a fly at 60 feet with a delicate drop and surprising sensitivity. The Helios 3 offers power, accuracy, and feel, whether you’re fishing a stream or the flats. 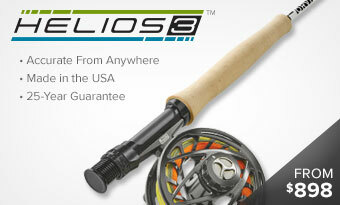 Our Helios 2 series are the most awarded fly rods on the market. The design is lighter feeling in hand than the original Helios, yet is extremely tough, loads easily for increased accuracy, and offers superior lifting power. The Helios 2 fly rod covers all applications—freshwater, saltwater, switch, and one-piece. Or choose from the 20 models in our best-selling Clearwater series; you’ll find the ideal weight and flex for any application. Travel is a breeze with the Clearwater frequent flyer seven-piece fly rod—it breaks down to pack away easily in your luggage or briefcase. 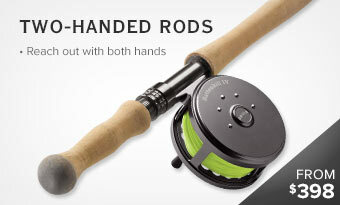 Clearwater switch & spey rods put the world of two-handed casting within reach. 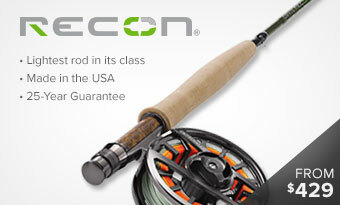 The all-new Recon series of fly rods is designed with the adventure angler in mind. Four-piece construction allows for easy storage, and convenient straps secure the rod to a backpack when trekking deep into parts unknown. 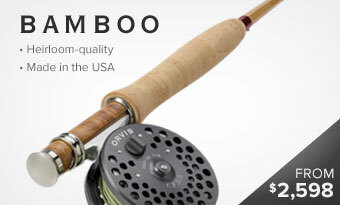 This rod is incredibly light, yet stands ready to tackle the toughest fish on the greatest adventures. Our Superfine fly rods have the power and precision to accurately present flies, yet with a delicate touch even skittish fish won’t mind. Superfine carbon offers top-notch responsiveness and feel, with plenty of backbone to handle the waters ahead. 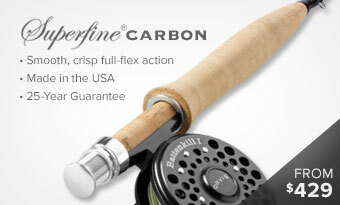 You’ll crave the crisp, clean cast offered by the Superfine fiberglass rod. Superfine glass boasts modern technology that mingles with a decidedly classic look for a fly rod you’ll want to show off. 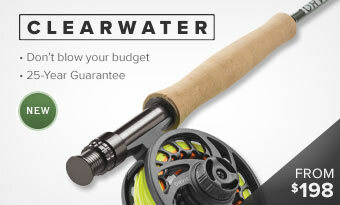 Our affordable Encounter fly rod outfits are armed with high-grade components perfect for new anglers and seasoned anglers looking for a bargain on a spare. 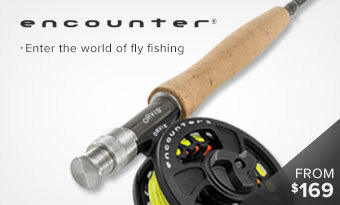 The Encounter comes equipped with a WF floating fly line, large arbor Encounter fly reel, backing, and leader. Orvis takes great pride in outfitting fly-fishing anglers around the globe, as we have for well over a century. Our goal remains the same as it was in the beginning—providing a superior collection of quality fly rods at reasonable prices for the discerning angler.